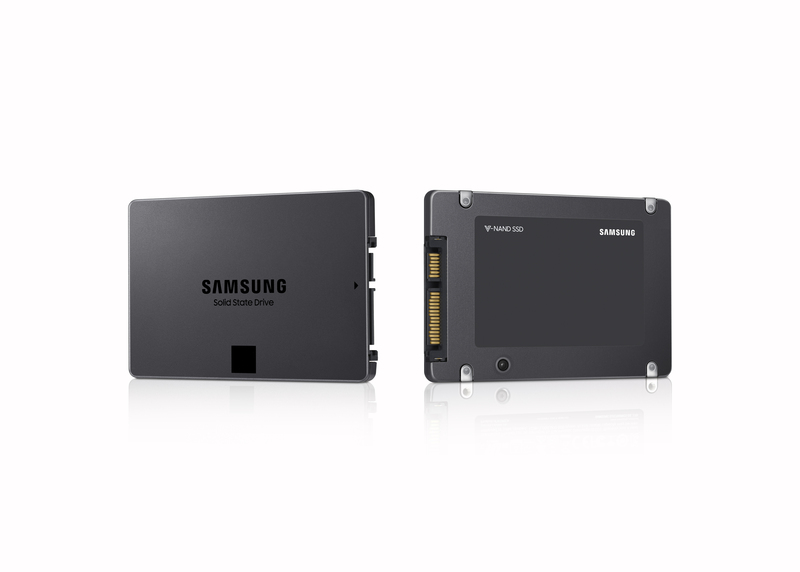 Samsung Electronics has begun mass producing the industry’s first 4-bit (QLC, quad-level cell) 4-terabyte (TB) SATA solid-state drive (SSD) for consumers. Typically, as data stored within a memory cell increases from 3 bits to 4, the chip capacity per unit area would rise and the electrical charge (used to determine information from a sensor) would decrease by as much as 50%, making it considerably more difficult to maintain a device’s desired performance and speed. However, Samsung’s 4-bit 4TB SSD maintains its performance levels at the same level as a 3-bit SSD by using a 3-bit SSD controller and TurboWrite technology, while increasing drive capacity through the use of 32 chips, all based on 64-layer fourth-generation 1Tb V-NAND. The 4-bit QLC SSD enables a sequential read speed of 540MB/s and a sequential write speed of 520MB/s, and comes with a three-year warranty.